WWII History in the area is rich being one of the closest points to continental Europe. Here are some places for WWII buffs. The Spitfire and Hurricane Museum is situated on one of the last surviving airfields that actually took part in the Battle of Britain. The RAF station Manston took a pounding from the German Luftwaffe in the summer of 1940 this was probably due to the fact Manston was actually the nearest Air-force base to German territory. The Spitfire and the Hurricane are fantastic original examples of the 2 second world war fighter aircraft who helped the Allies defeat Hitler and his men. The Spitfire, housed in the Manston Museum actually saw action in the second world war with 403 Squadron. If you observe the four German crosses painted onto the side of the aircraft this denotes the Spitfire shot down four German aircraft. Unusually, the four combat “kills” were all carried out by four different pilots. This is due to the Spitfire, which was coded as “Z” was the scratch aircraft of the squadron which means it was basically a spare and used whenever a pilots usual aircraft was grounded for repair. The Hurricane museum was officially opened by wartime sweetheart Dame Vera Lynn on the 7th October 1988. There were over 14,000 Hurricanes manufactured for the second world with many being involved in the Battle of Britain war. It played second fiddle to its more illustrious partner The Spitfire, however it is forgotten that the Hurricane can account for more than 55% of downed German aircraft. It was the RAF workhorse while the Spitfire was a thoroughbred. We should be grateful to both!! The Museum has ample parking for cars and coaches and there is a souvenir shop along with the Merlin Cafe. A great place to visit. The award winning tunnels of Ramsgate saved hundreds of lives during World War 2 as Ramsgate was bombarded with hundreds of 500lb bombs dropped by the German Luftwaffe. The tunnels would never have been dug if it was not for the Mayor of Ramsgate Mr Arthur Kempe later to be fondly remembered as “The Mad Mayor”. The British Central Government refused permission to dig the tunnels so Mr Kempe badgered and hounded them for three years, until reluctantly, permission was given for work to commence in 1939. In 1940, the first Blitz of the second world war took place and it was the Ramsgate Tunnels that kept the people of Ramsgate alive. 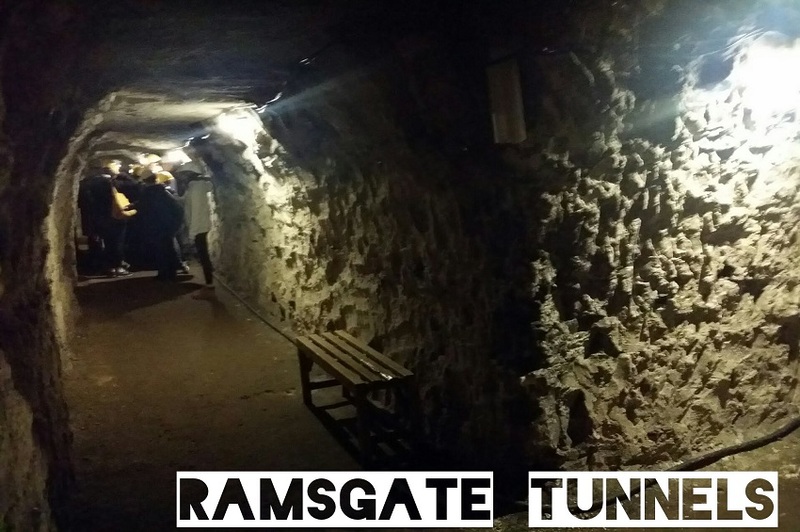 The tunnels run for 4 miles underneath Ramsgate and are dug to an average depth of 67 feet. They were designed as an air raid shelter to protect up to 60,000 people. During the war there were over 300 families living there due to their homes and businesses being flattened by the Luftwaffe. The labyrinth of tunnels were well ventilated, had electricity, toilets and even a hospital. The tour of the tunnels brings back to life the way it would have been during the difficult times. The guides are informative and give you the experiences and quotes from individuals who actually lived down there during the war. You can have a cup of tea and a cake in the Ratz cafe, look at artefacts, documents and a lot more. The RAF Manston History Museum is based in close proximity to both the Spitfire and Hurricane museums (across car park). 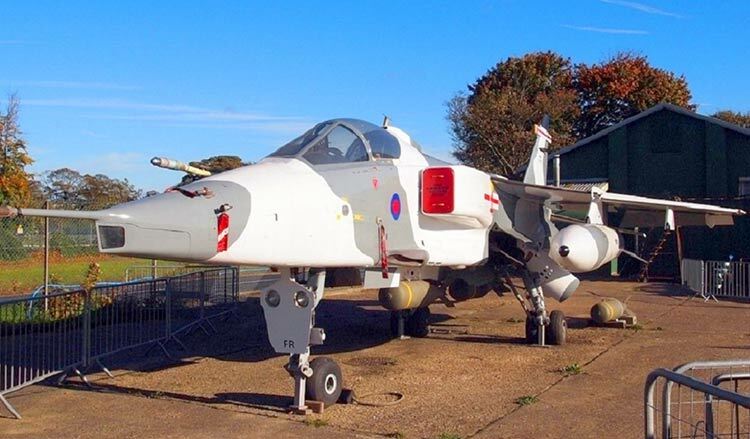 The RAF base of Manston was on active duty from 1916-1996 and the Museum houses wonderful exhibits of both military and civilian aviation proving its importance in times of need. 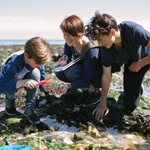 Once inside the museum it will take you on an aviation journey explaining how the base started life in 1916 as a naval airfield supporting sea planes at Westgate Bay. The Museum houses some complete aircraft such as De- Havilland Canada Chipmunk T10, Gloster Meteor TT.20, Hunter Pathfinder, SEPECAT Jaguar GR.3A plus Helicopters Westland Wessex and the Westland Whirlwind. The famous Dambusters story began here with Barnes Wallace using the base to perfect and test his amazing bouncing bomb which inflicted serious damage onto the Germans. The museum which houses the Gloster Meteor also explains how RAF Manston was the first airfield to have a squadron of Jet Fighters where the Meteor was used to shoot down the German equivalent of today’s cruise missile the dreaded flying bombs nicknamed “The Doodlebug”. There are many more pages of history to be turned over with a visit to RAF Manston History Museum. It is absorbing and very interesting. 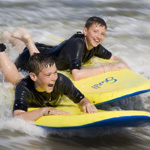 There are on-site cafe and toilets facilities also available.